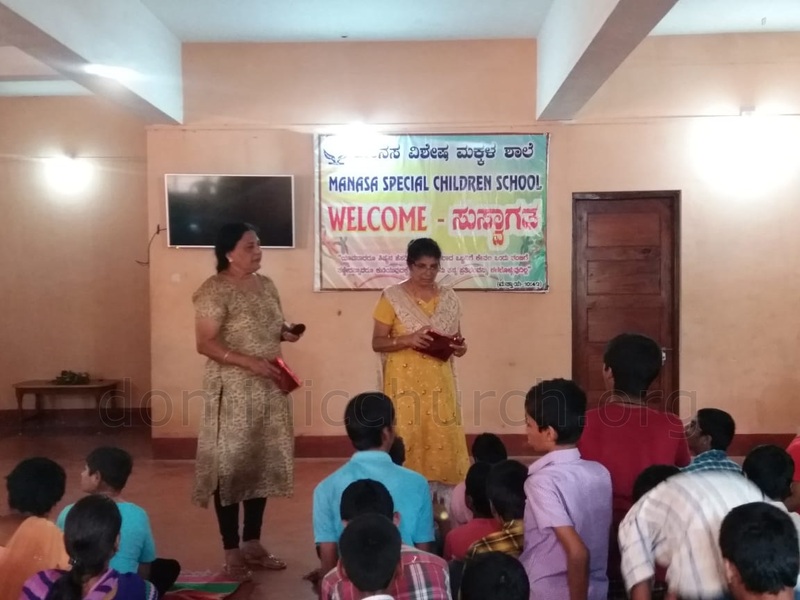 A child is God's gift. 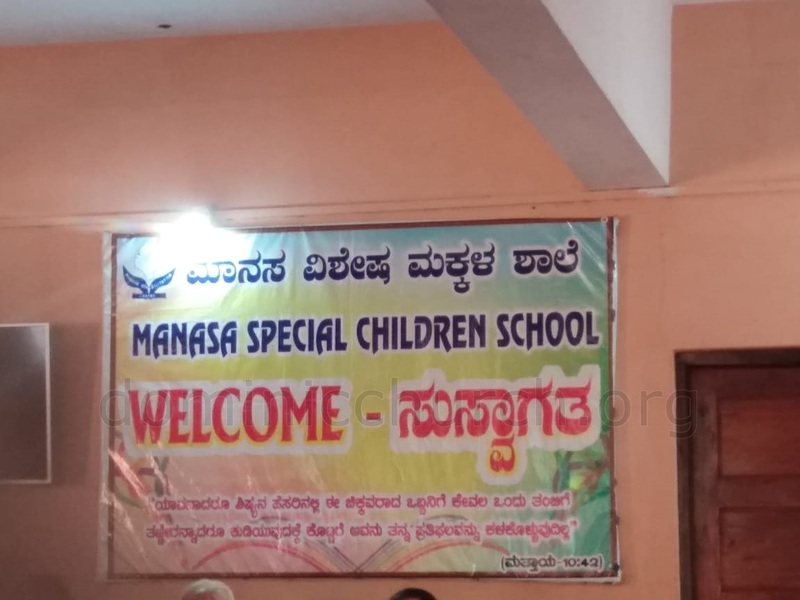 It is a dream of every parent to have a healthy child. 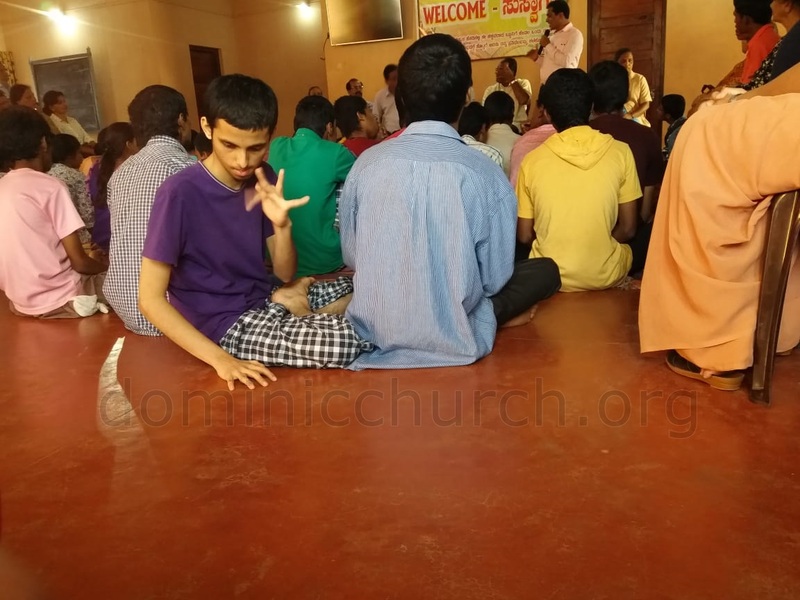 However, sometimes children are born with intellectual disabilities. 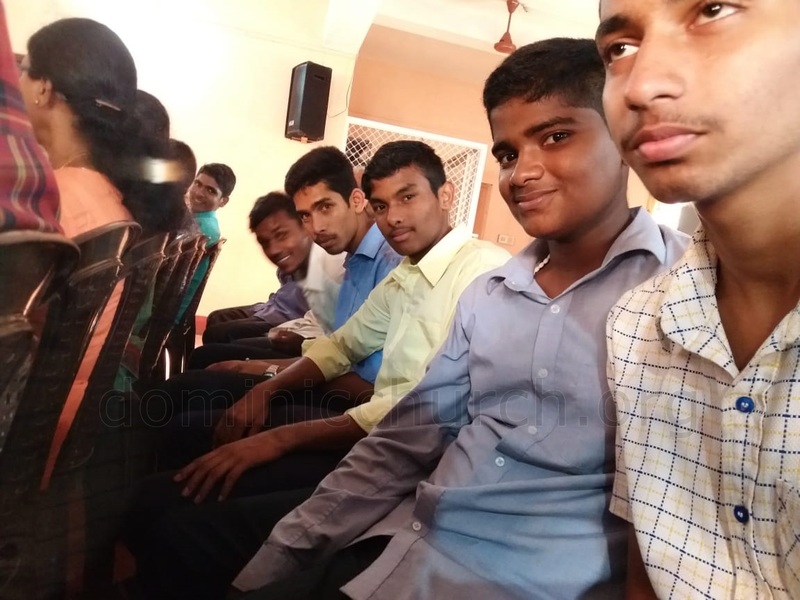 As a society should we not learn to accept them as our own? 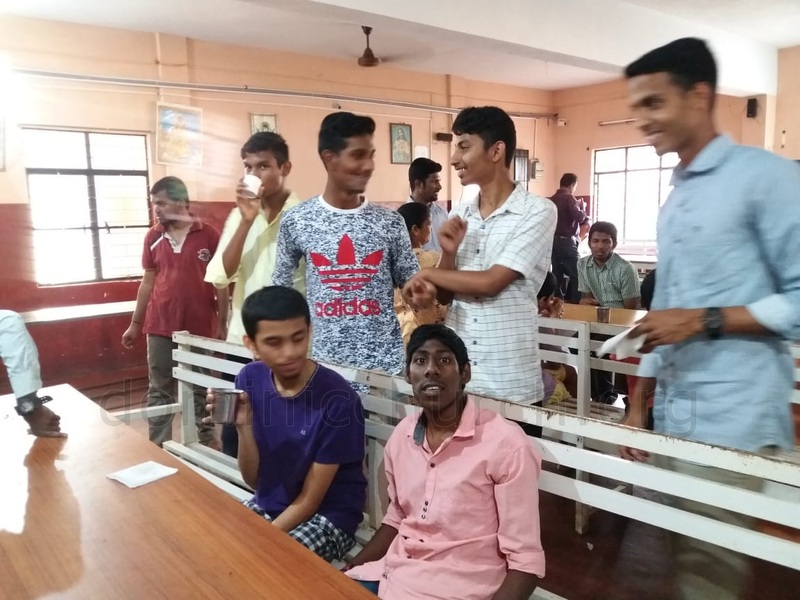 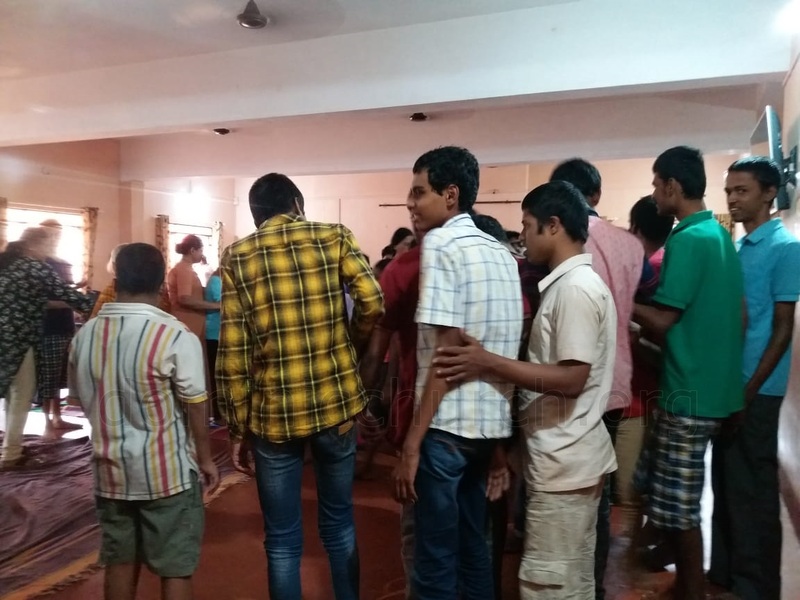 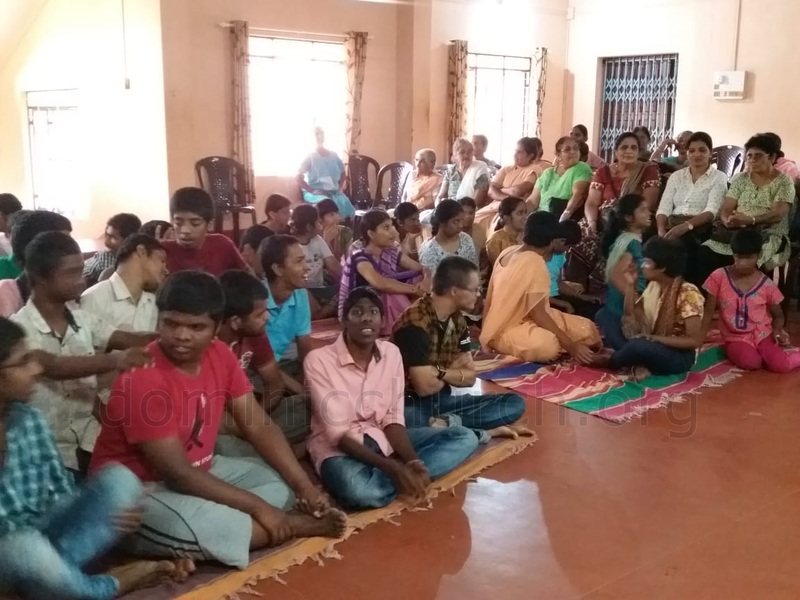 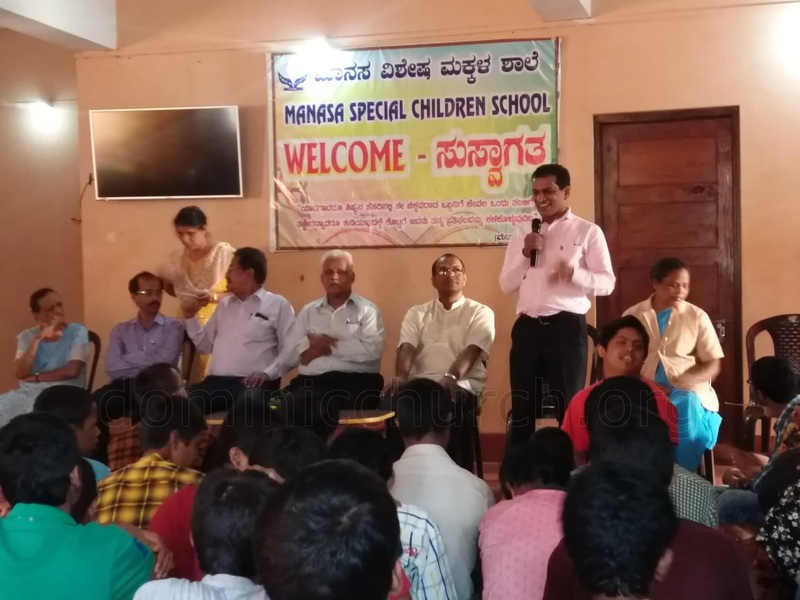 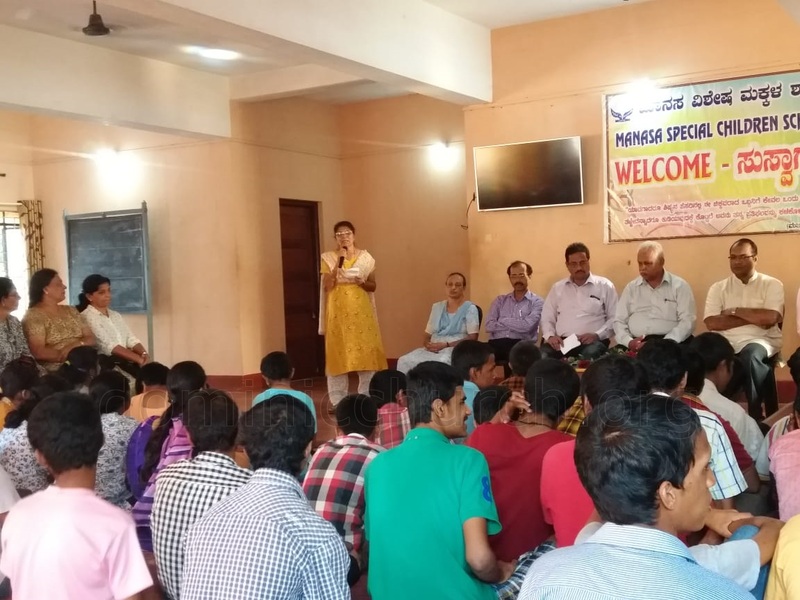 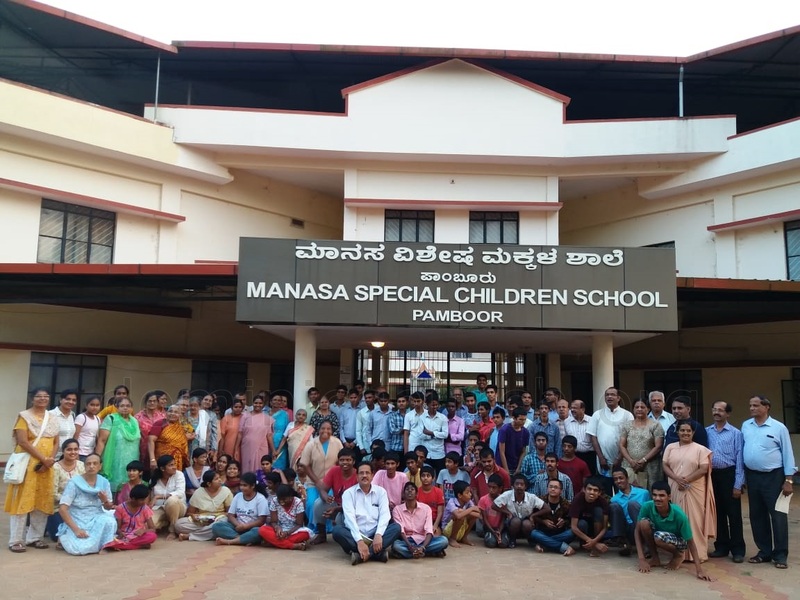 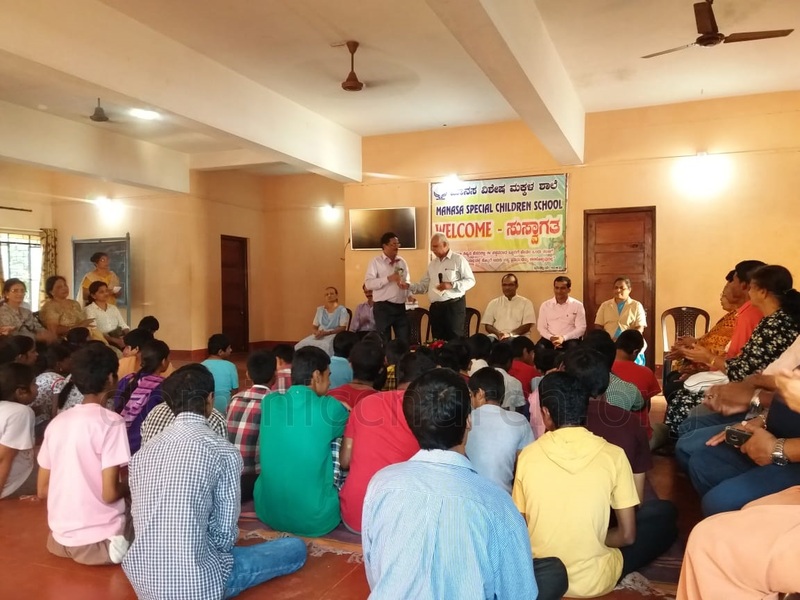 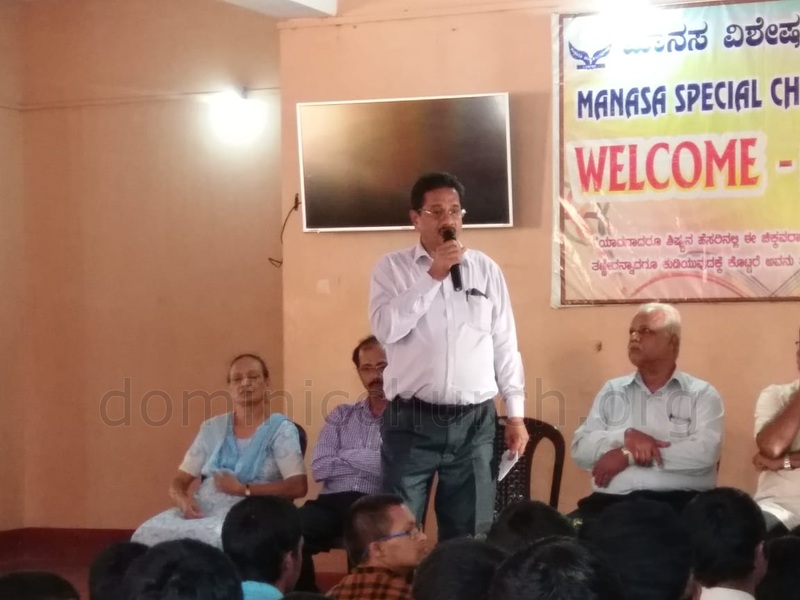 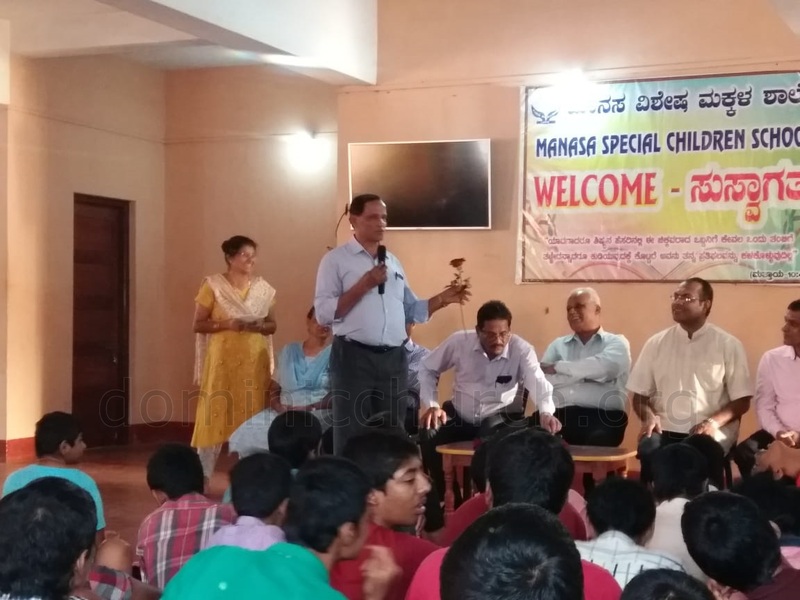 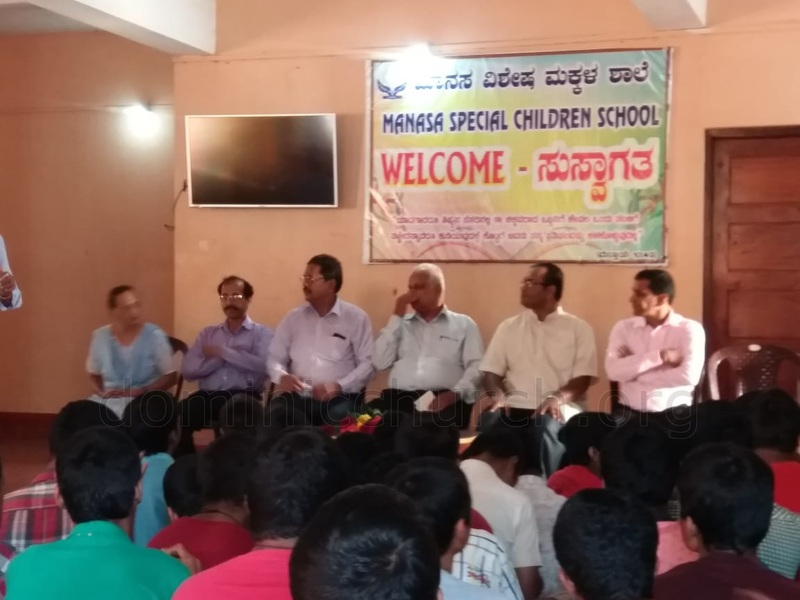 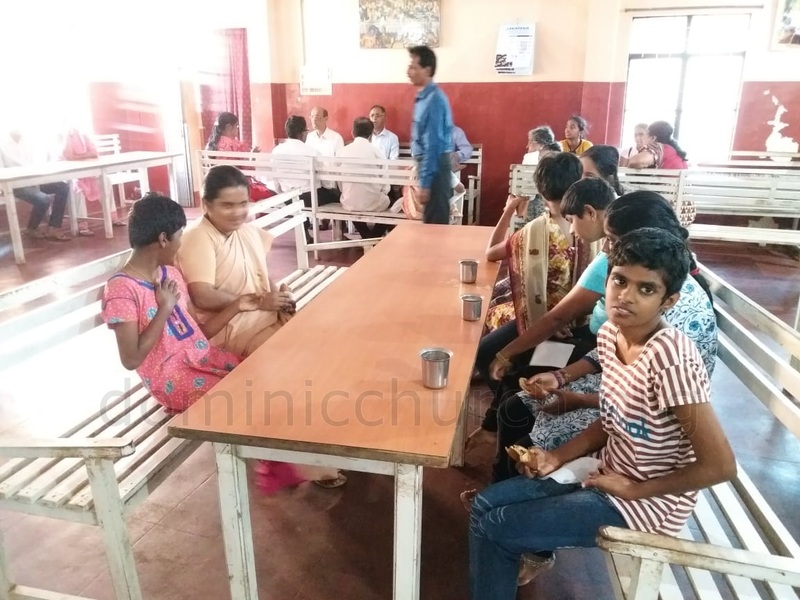 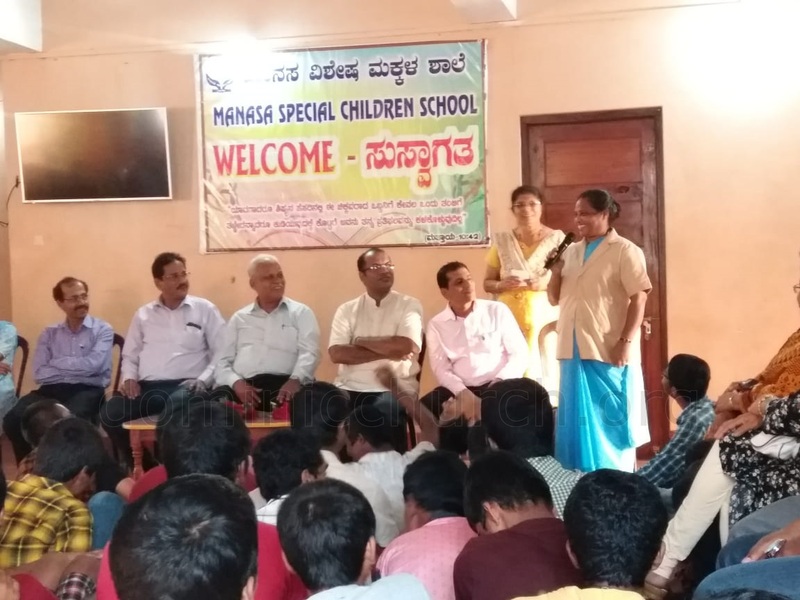 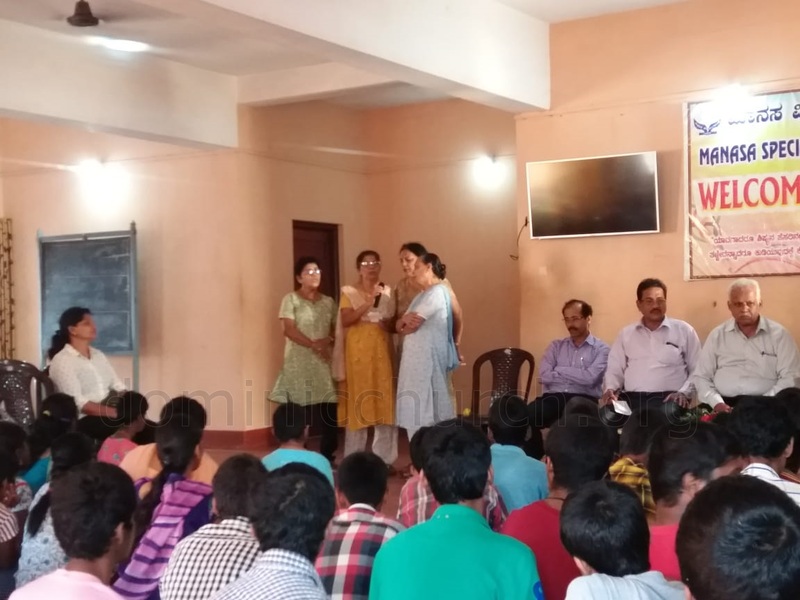 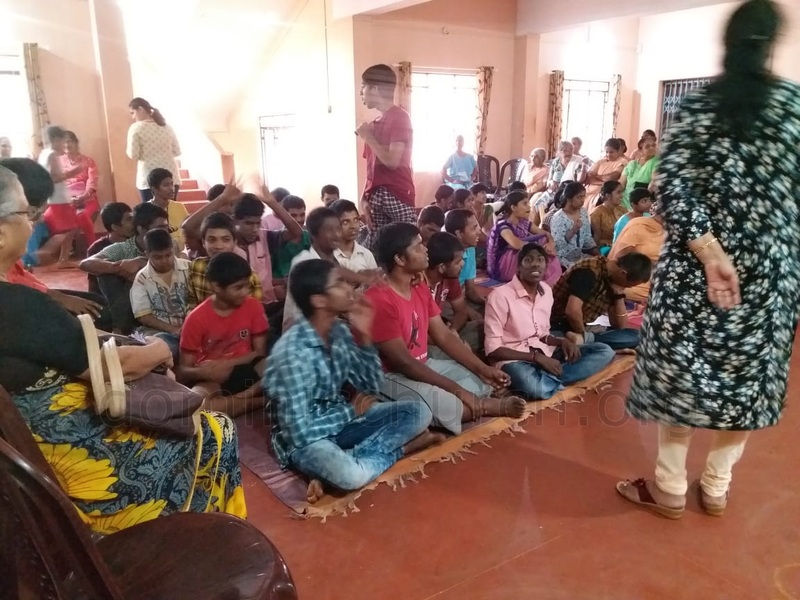 Manasa Rehabilitation and Training Center, Pamboor is an institute which serves the need of the especially abled children with zeal and enthusiasm. 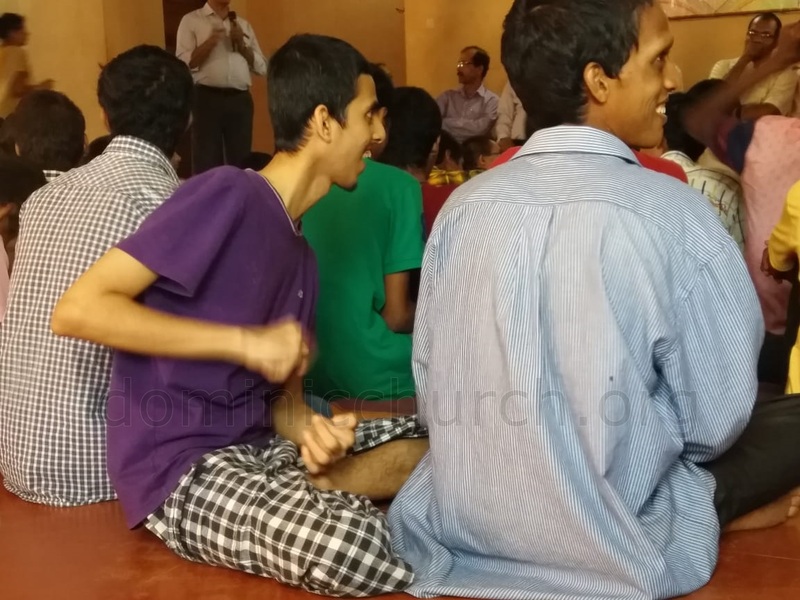 Each and every one of us should thank God for a healthy mind and dignified normal life. 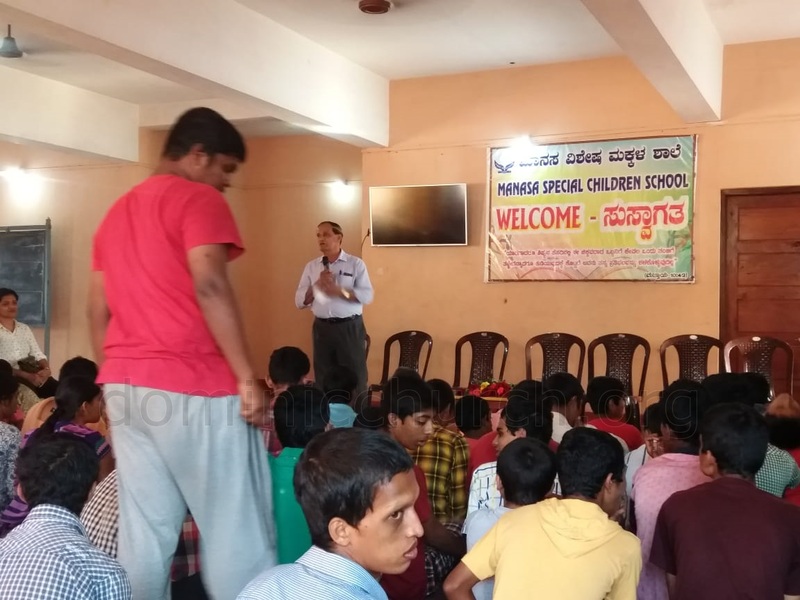 This institution helps 120 children - 55 of them are residents and 65 of them are day scholars. 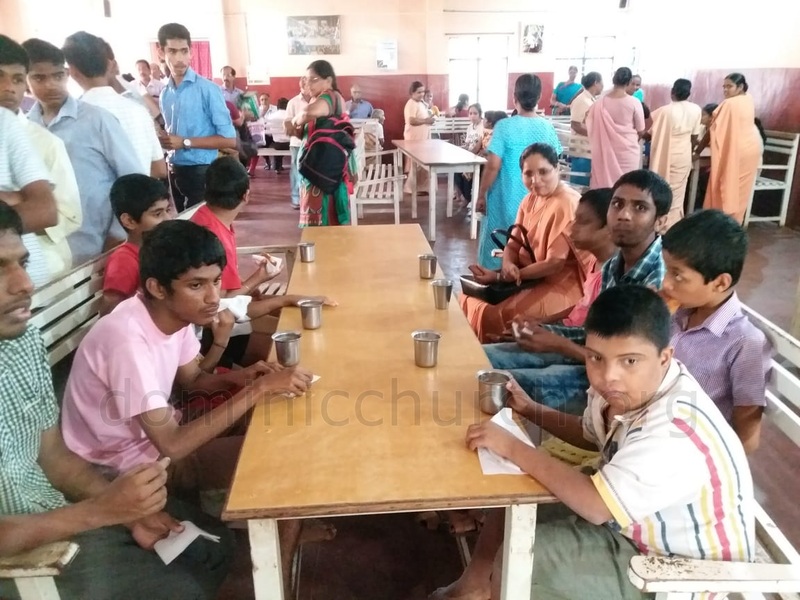 The children are taught basic things like taking bath, wearing clothes, taking care of themselves. 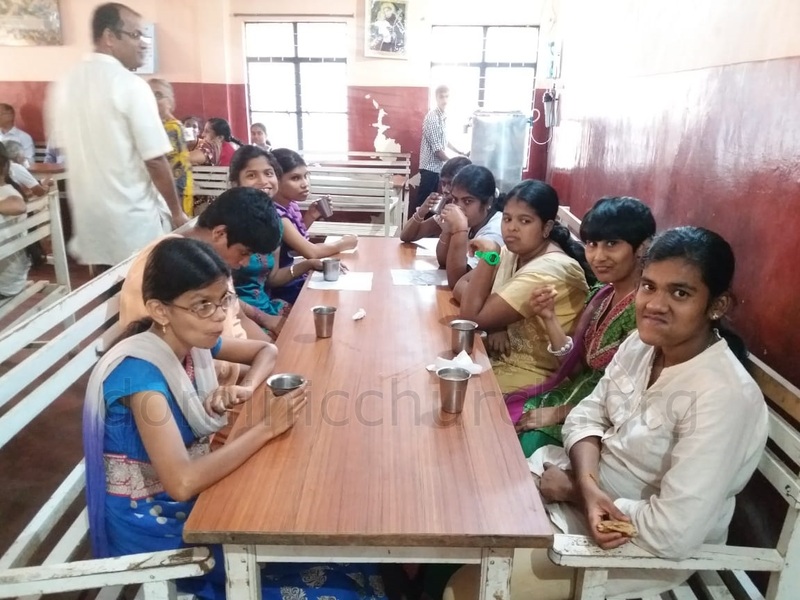 Along with this they are given physiotherapy, speech therapy. 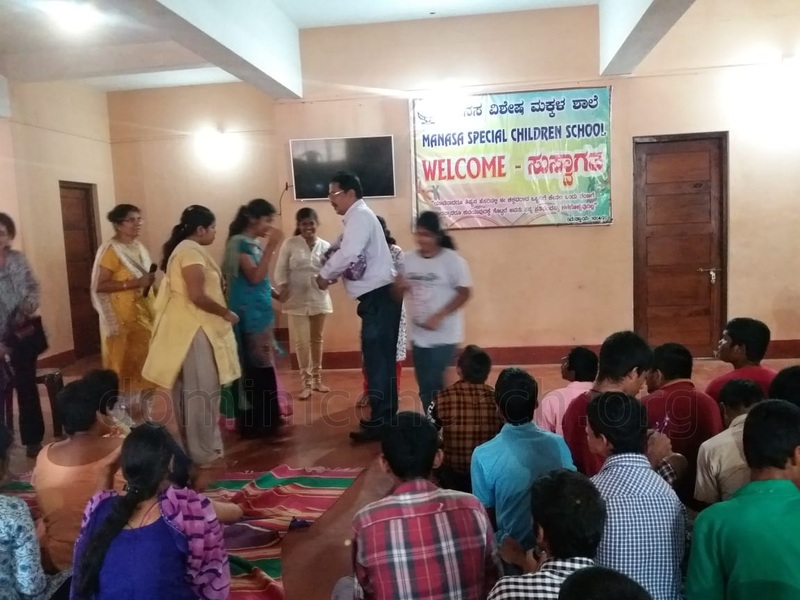 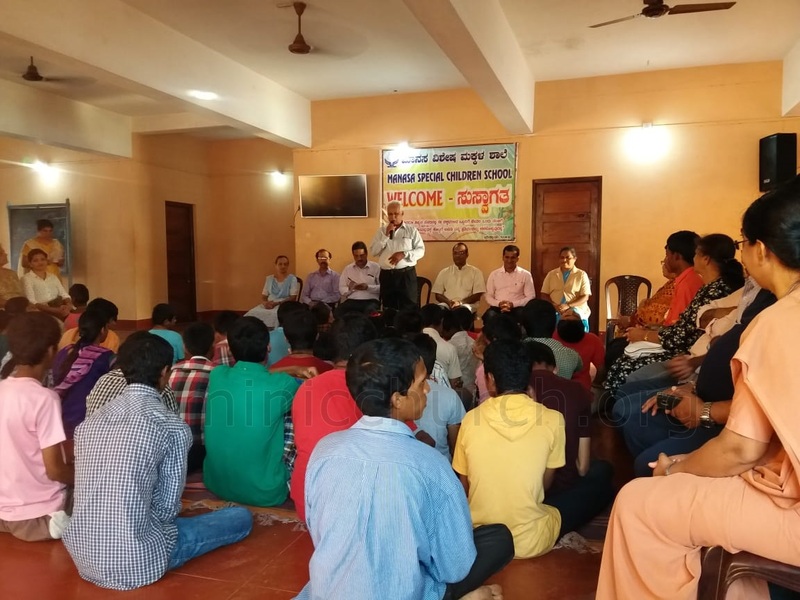 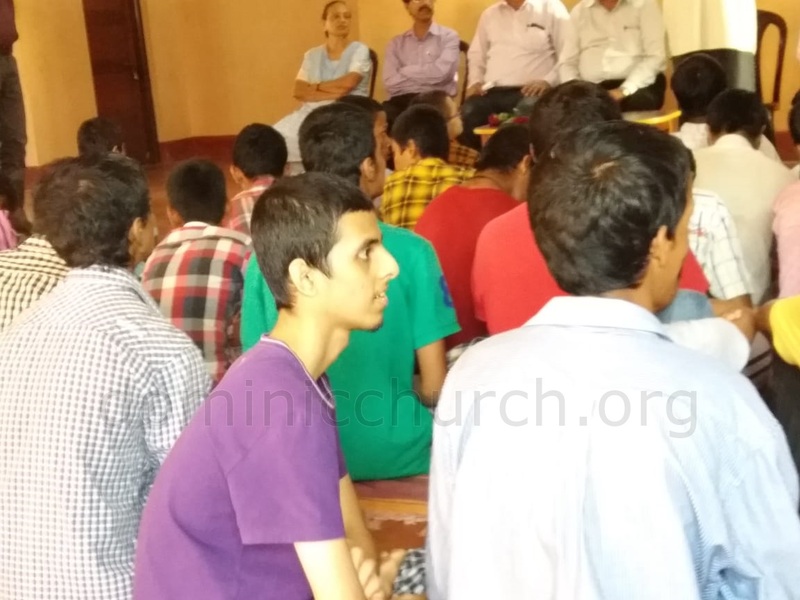 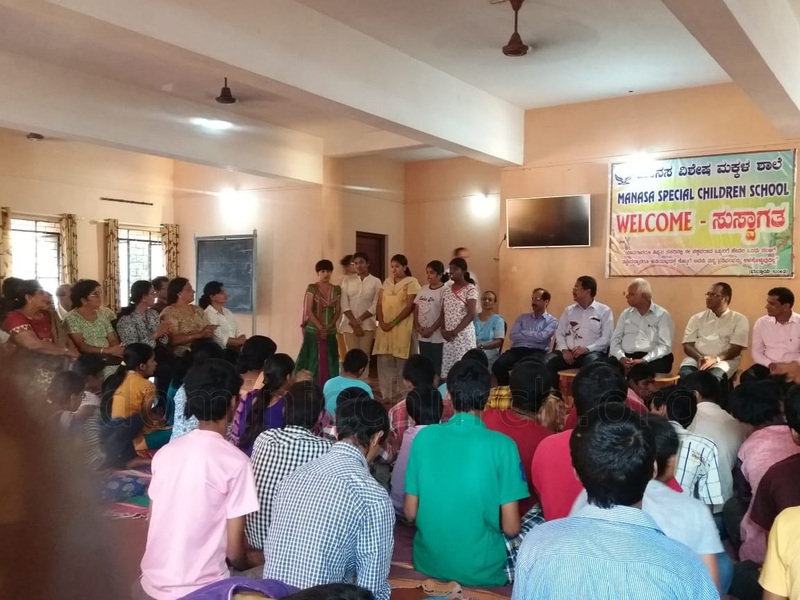 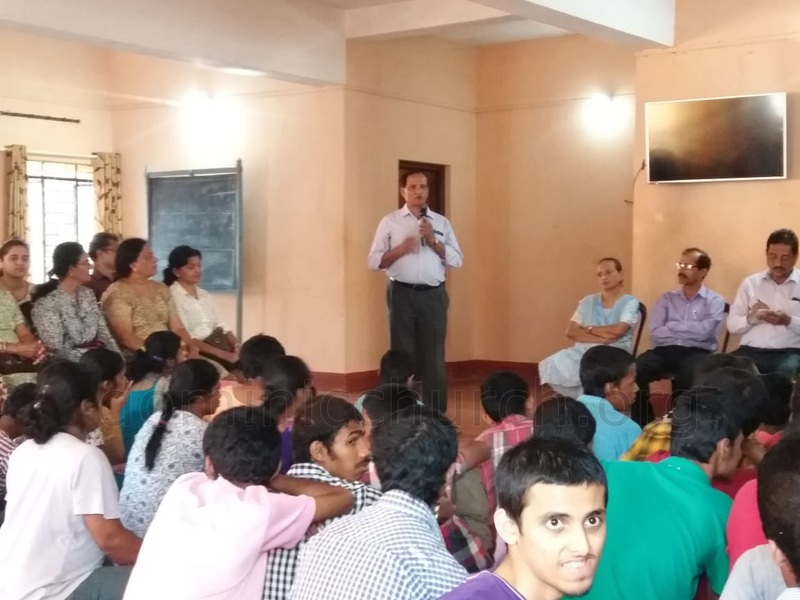 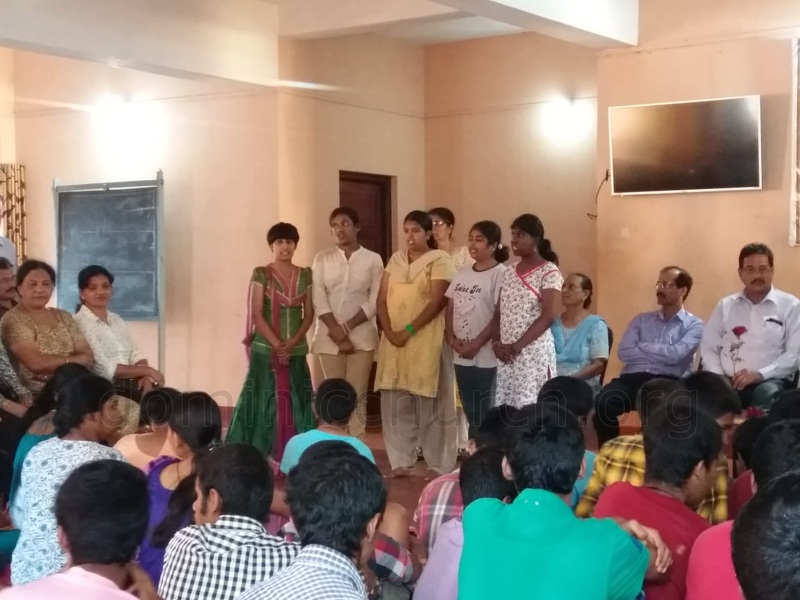 Some of these children will be appearing for SSLC exams this year. 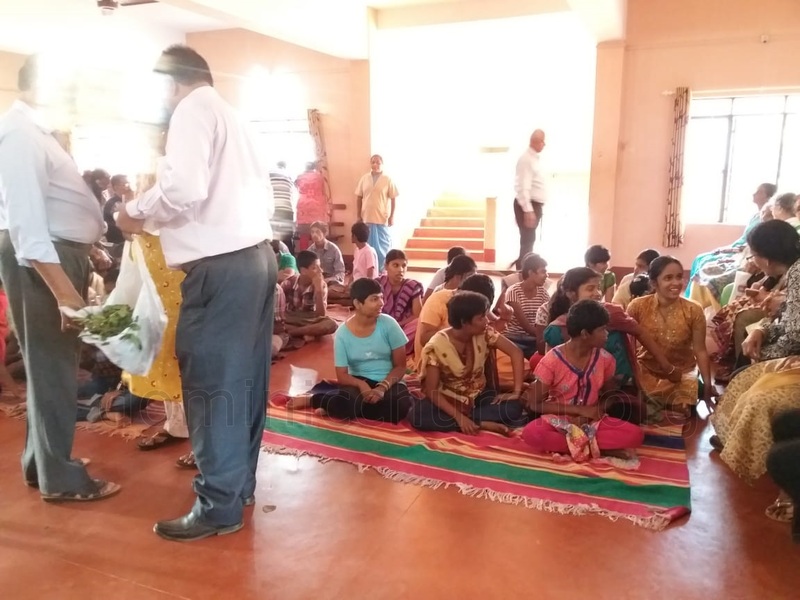 They also receive vocational training like flower making, tailoring, book binding, computer classes, card and candle making. 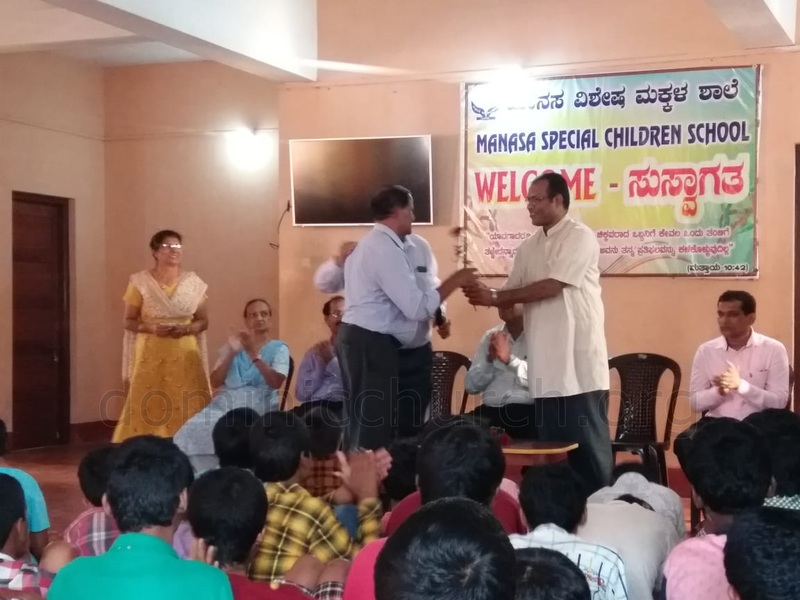 The children are also exposed to the world of sports, music, craft and other extra-curricular activities. 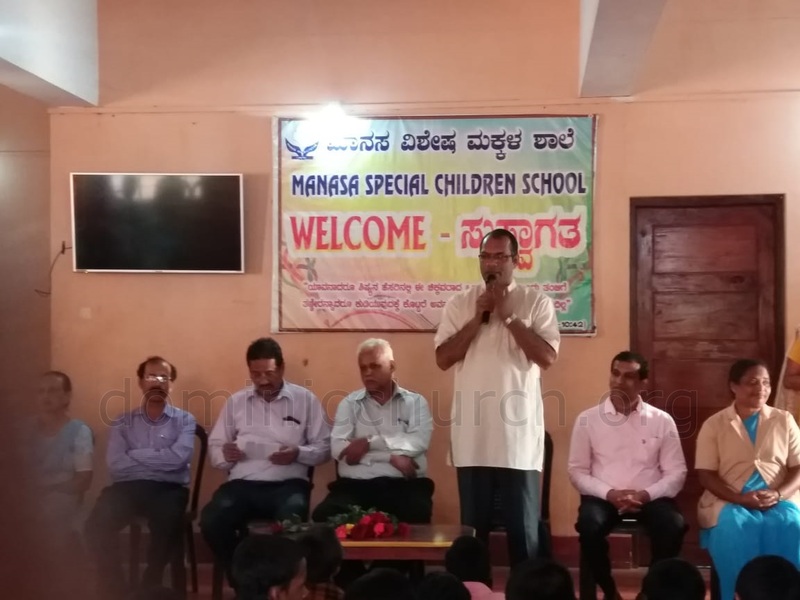 Children from Manasa have reached different corners of the world and are successful in life. 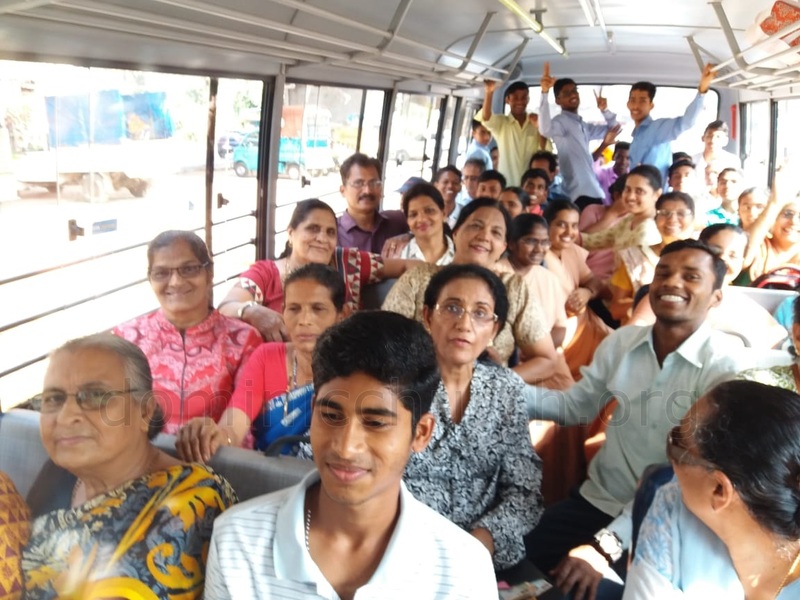 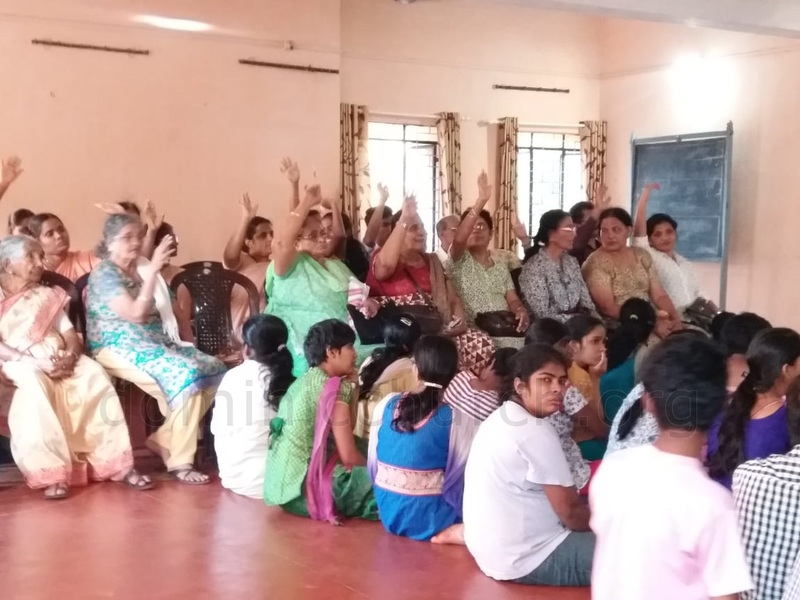 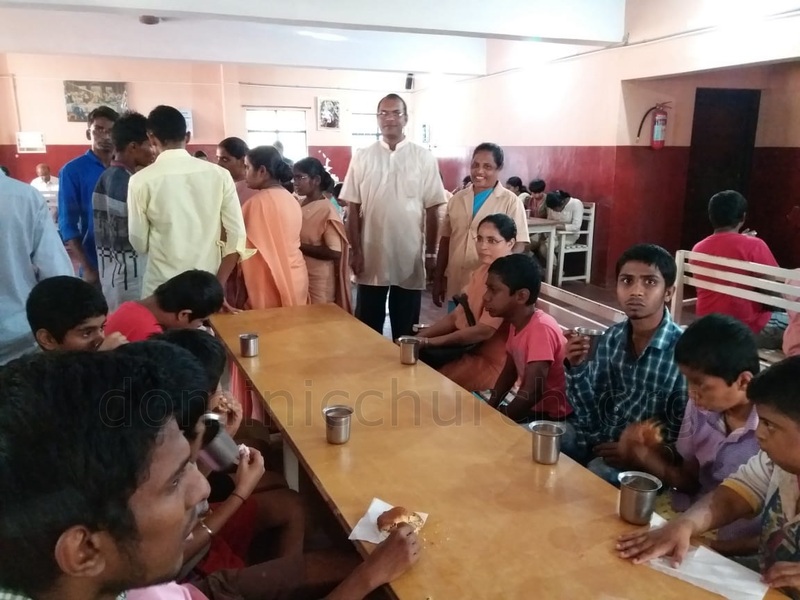 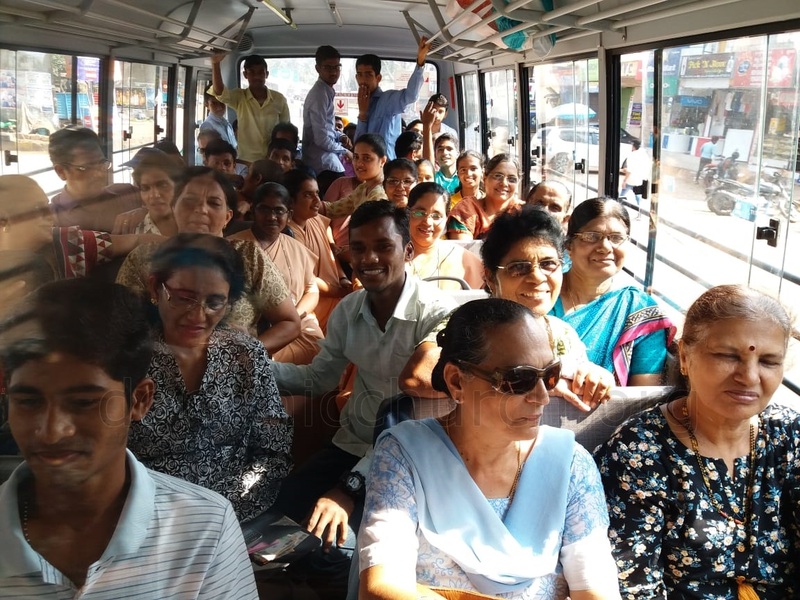 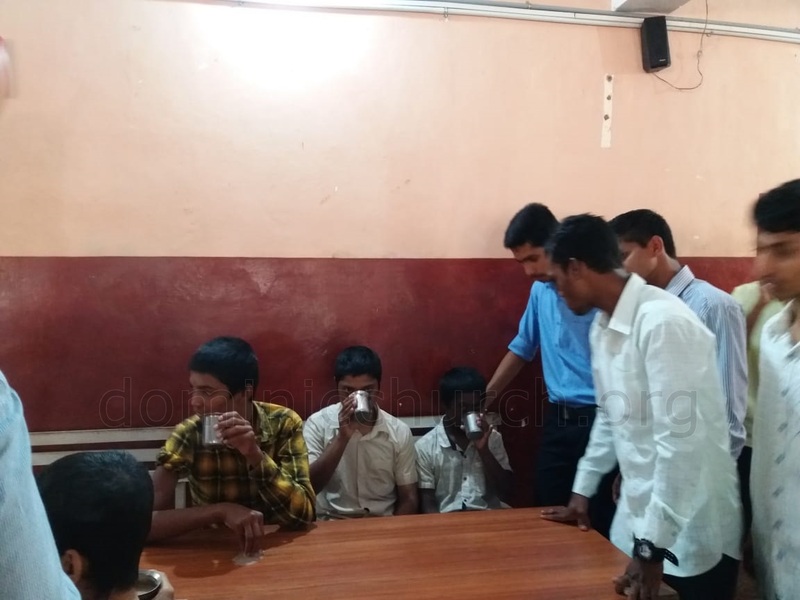 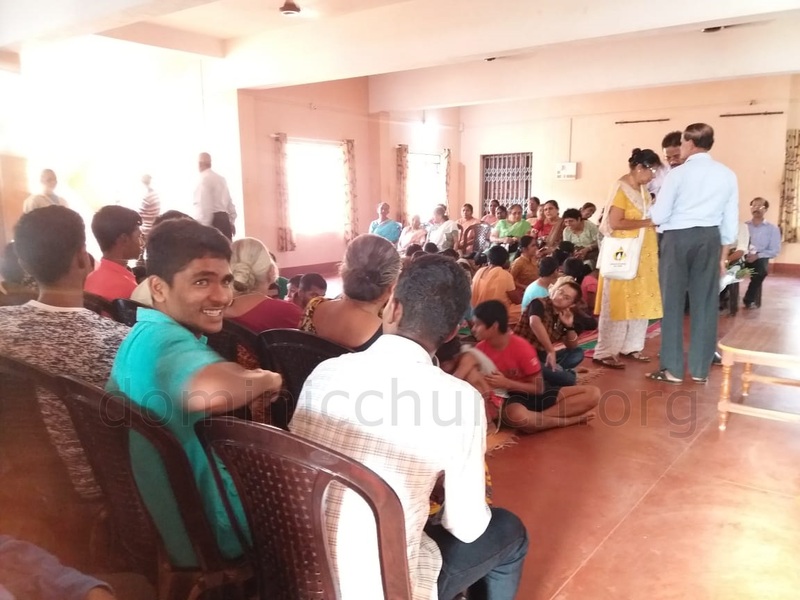 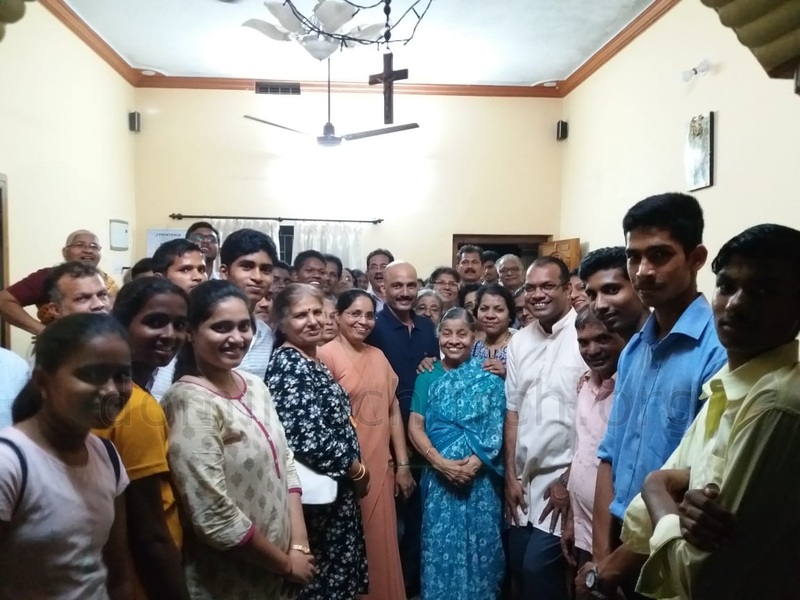 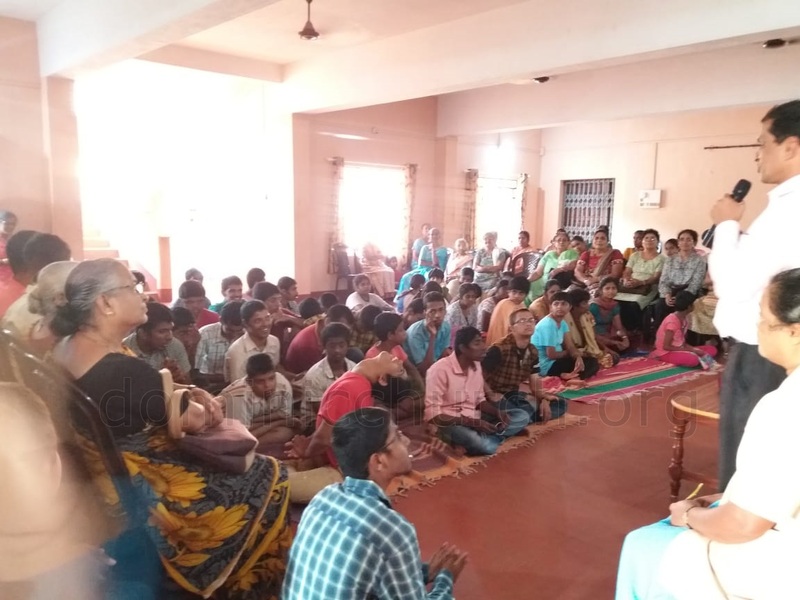 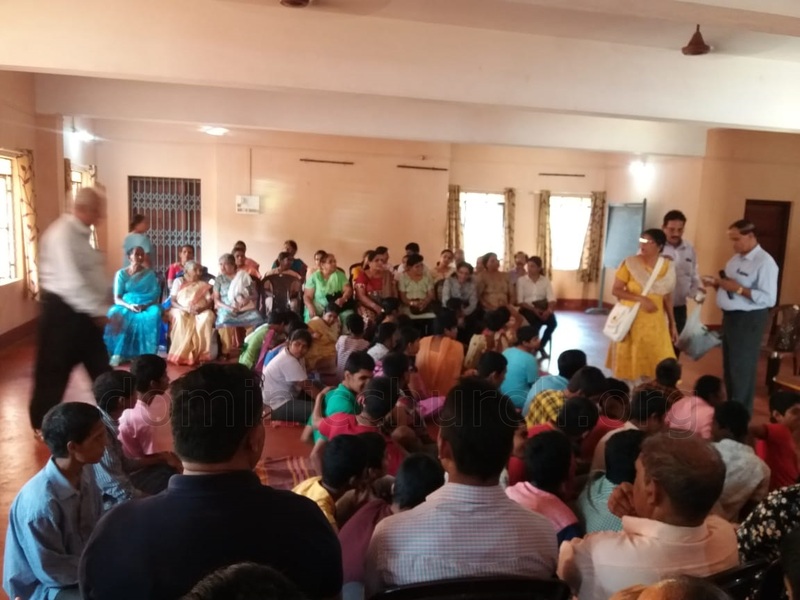 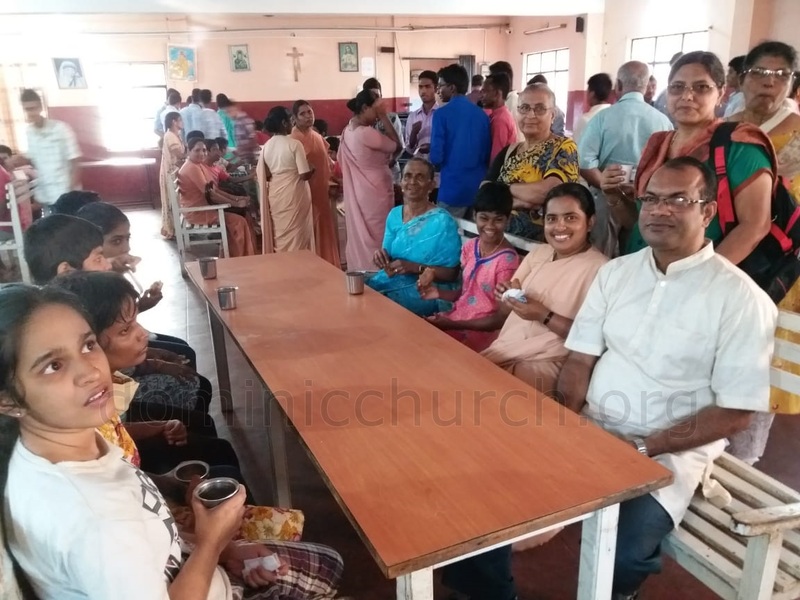 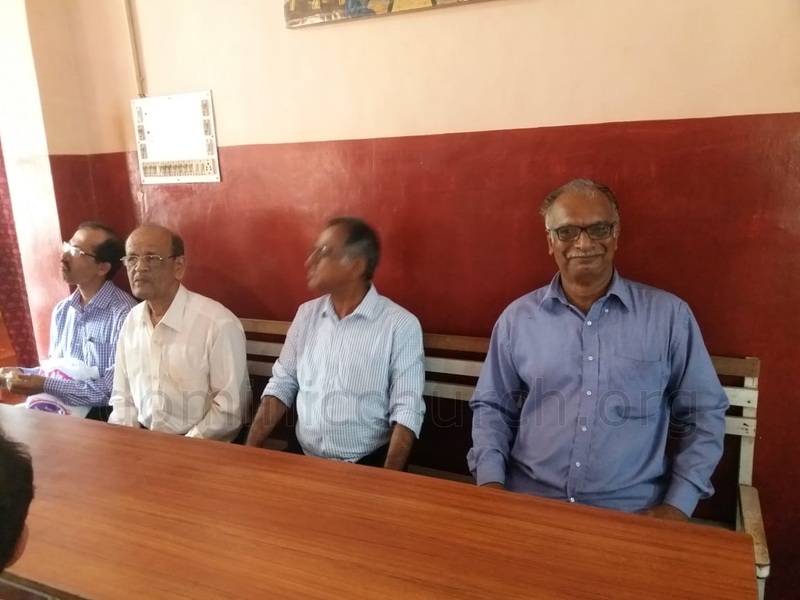 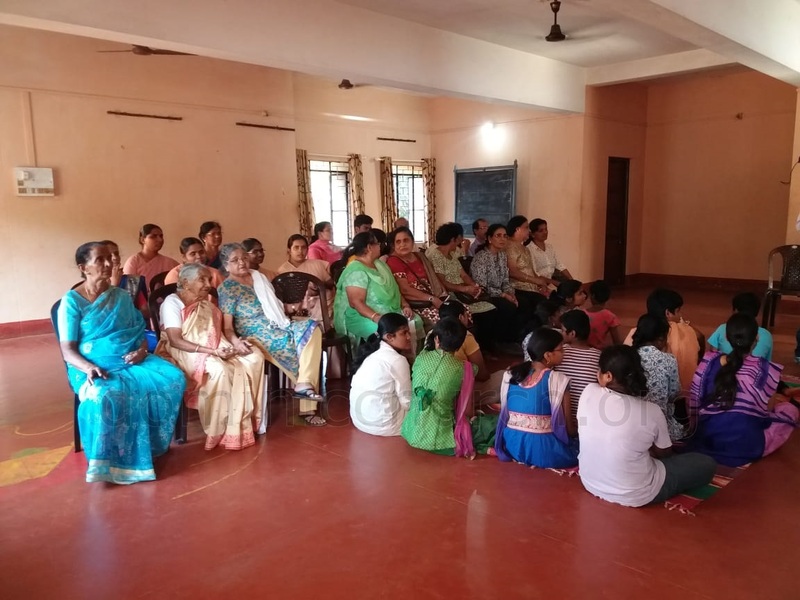 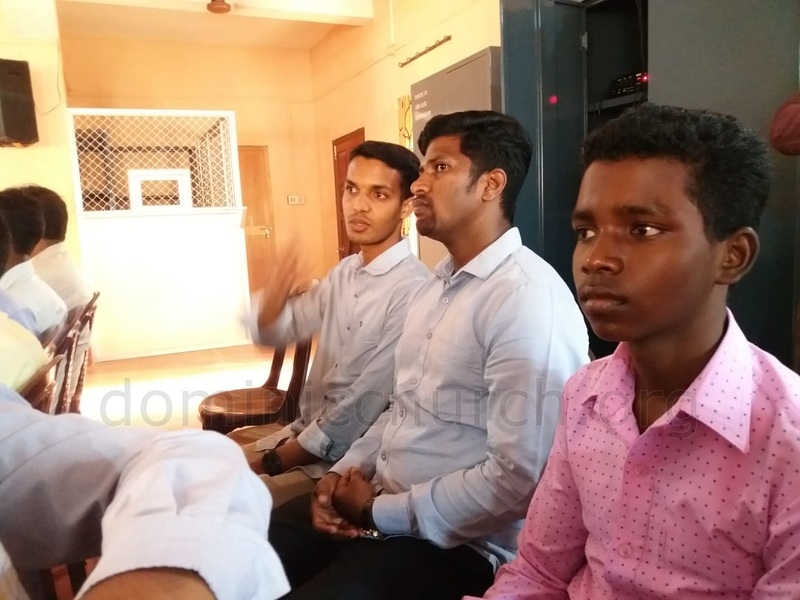 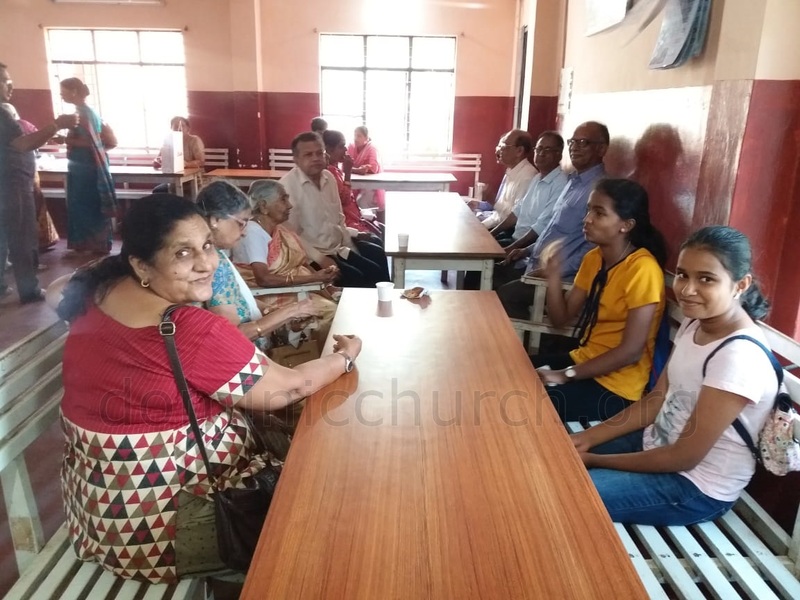 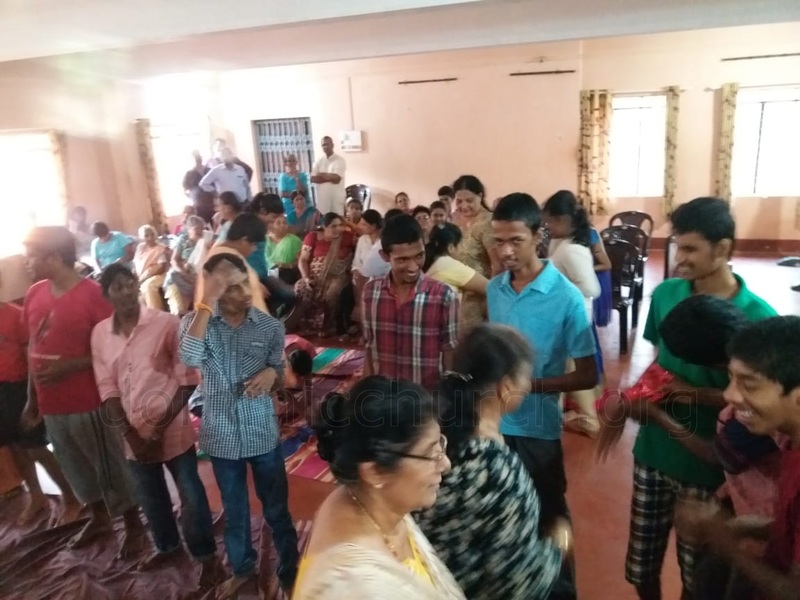 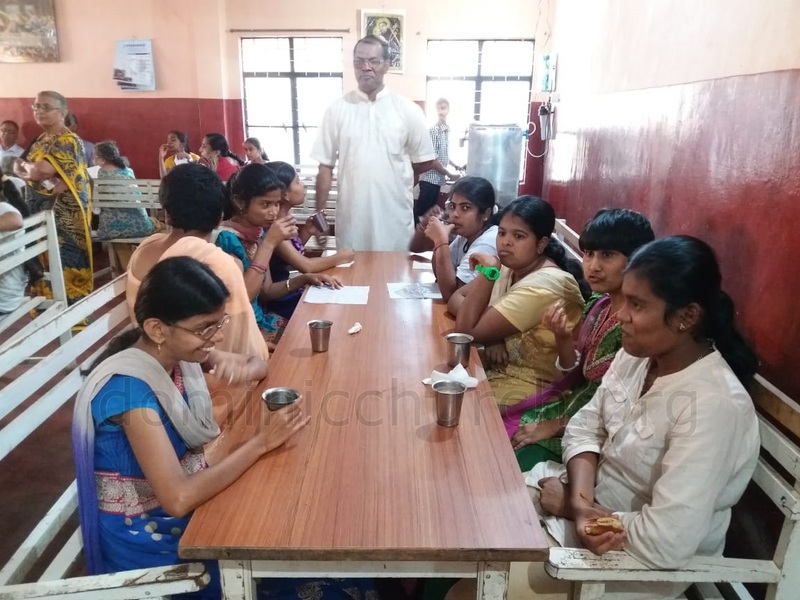 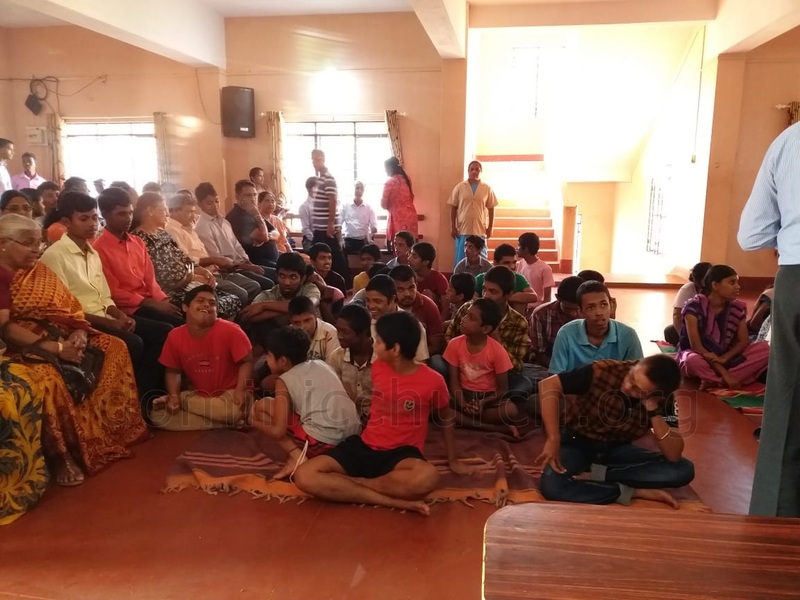 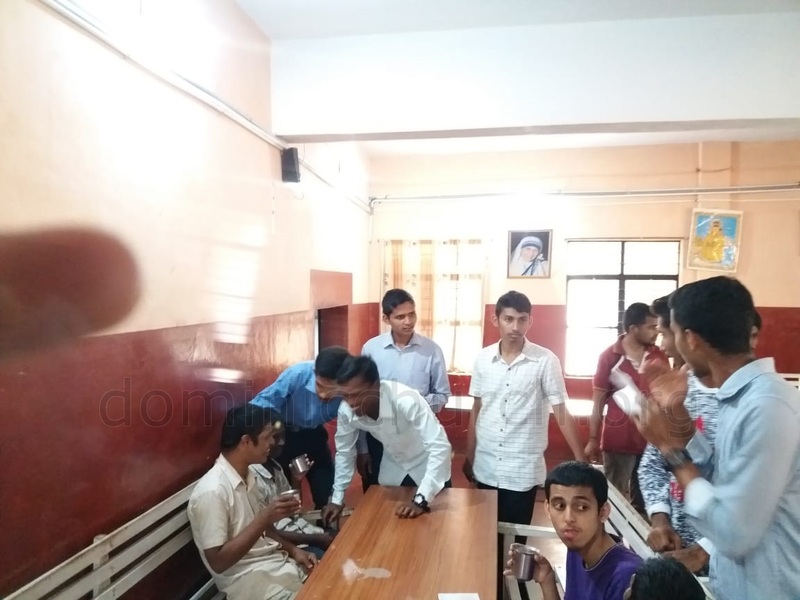 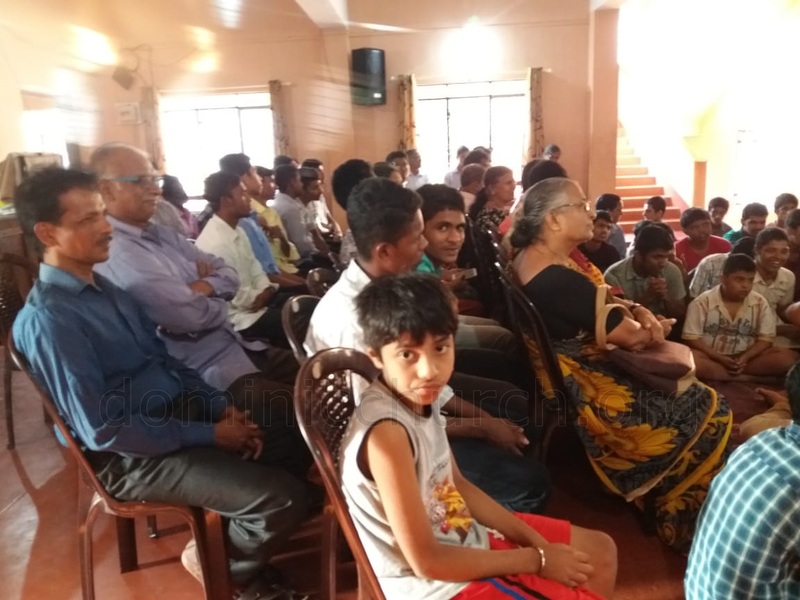 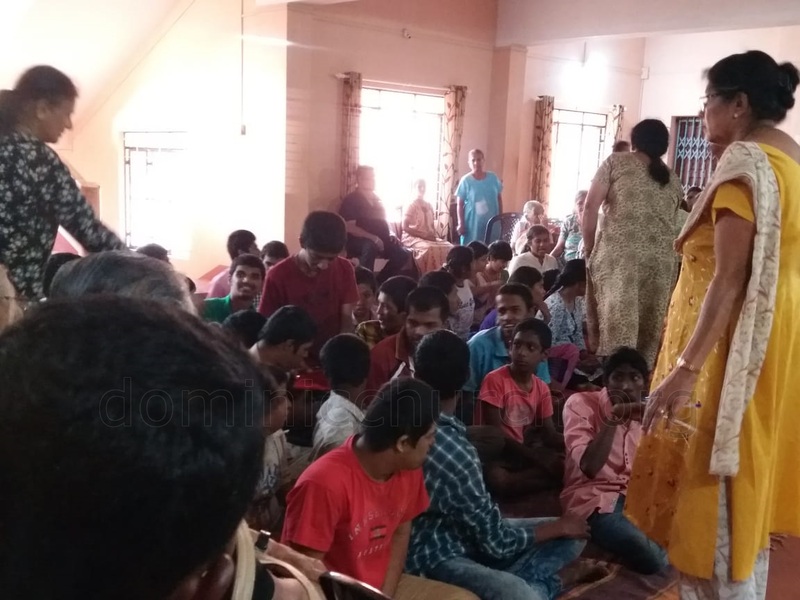 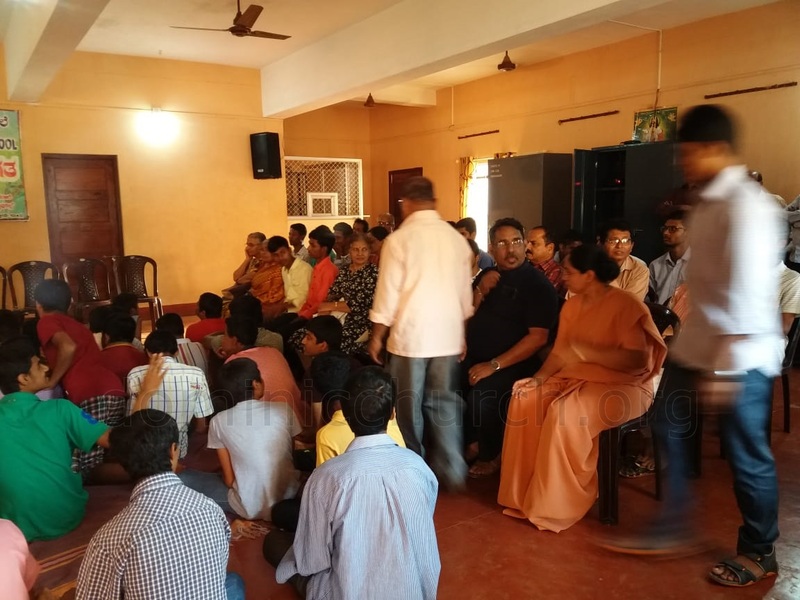 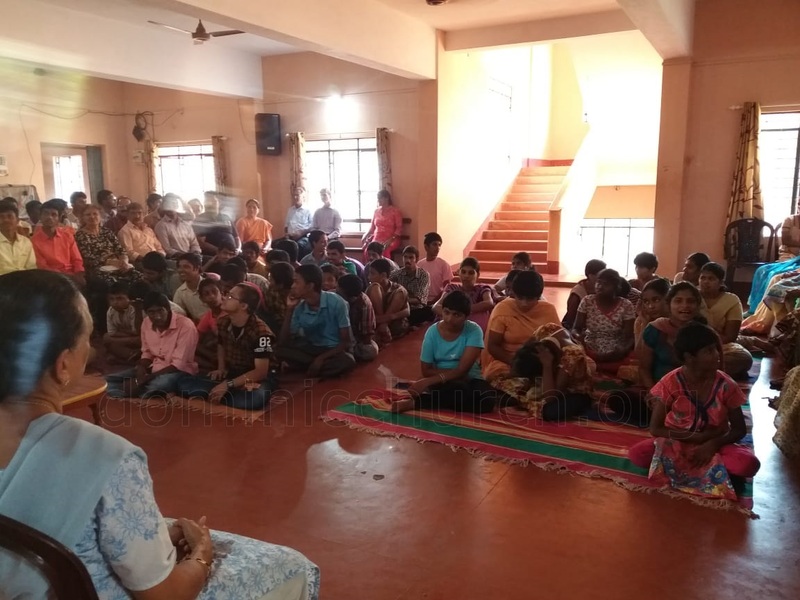 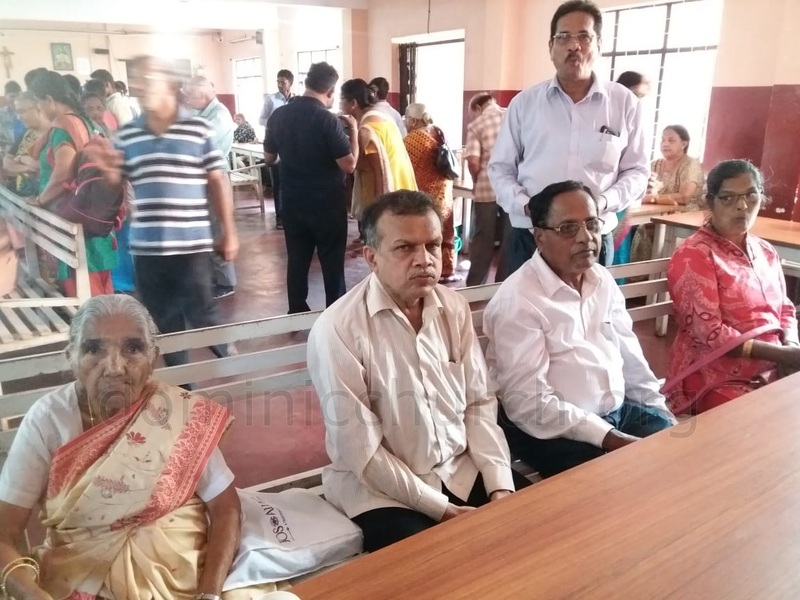 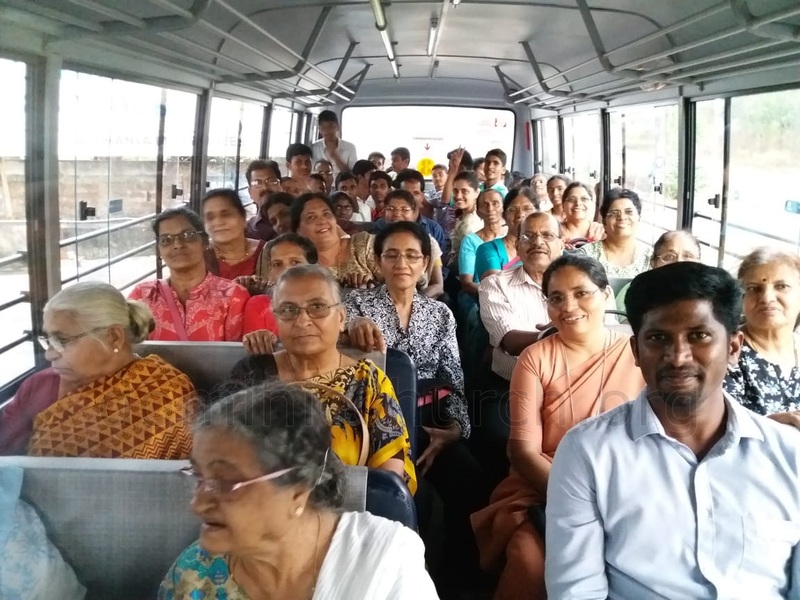 We the members of the Catholic Sabha Ashoknagar Unit, Dominican Community, St. Joseph sisters along with parishioners were fortunate enough to meet these children on 3rd February 2019. 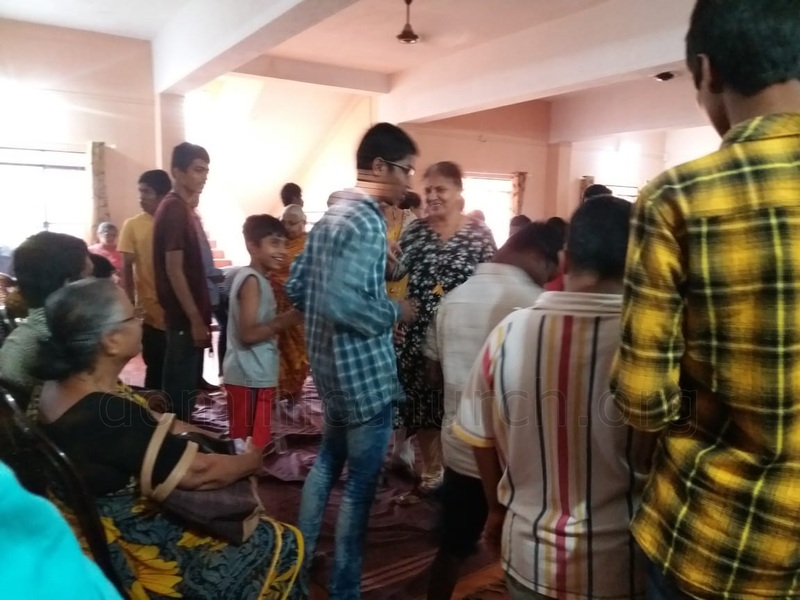 We spent a few hours with them where we entertained them and they reciprocated the same by singing songs, dancing and some yoga tips. 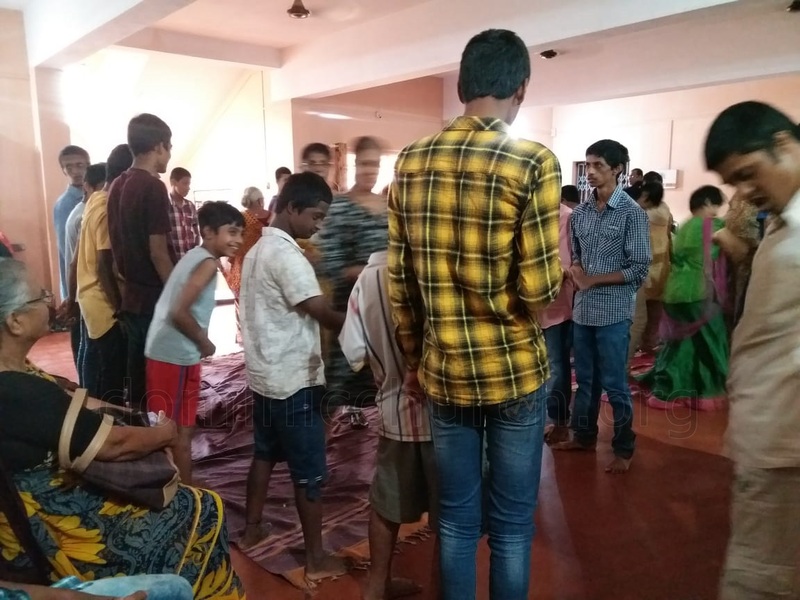 The smile on the children's face was a blessing for us. 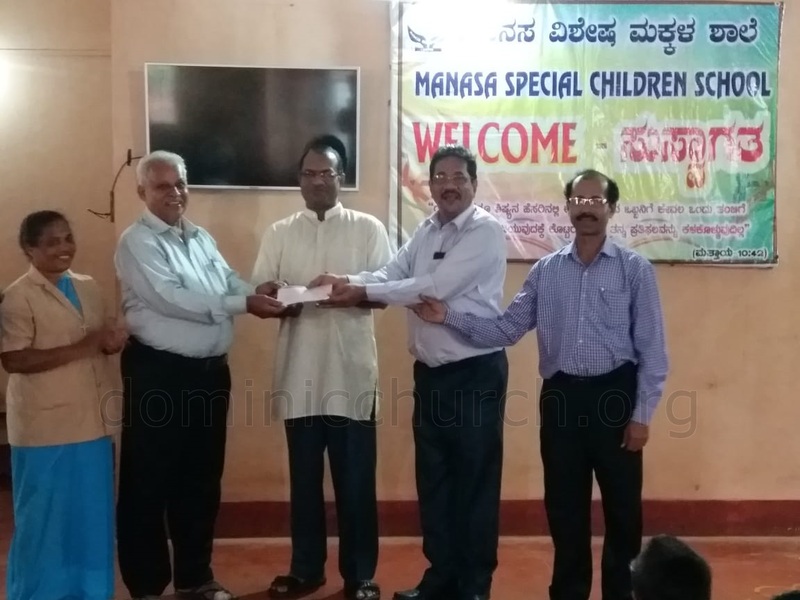 55 bed sheets along with Rs.30,000 was donated by us towards the education and medical expenses of the children. 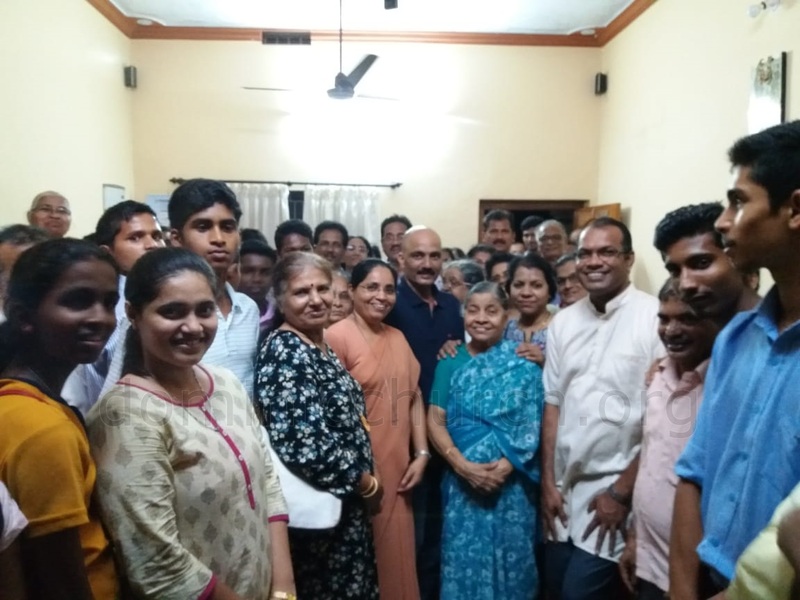 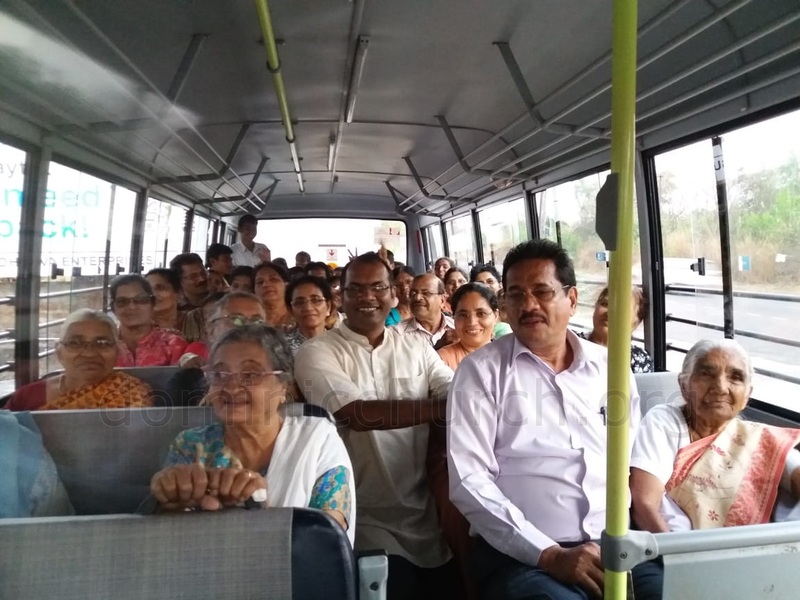 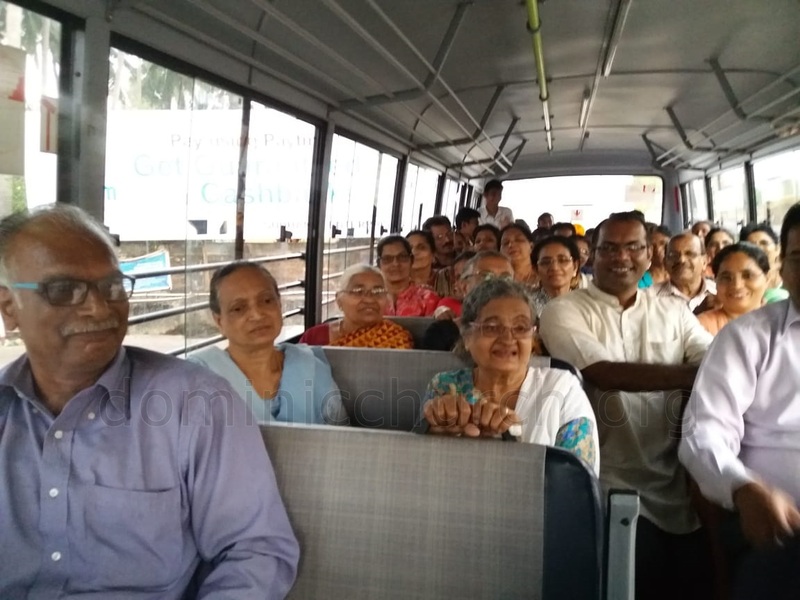 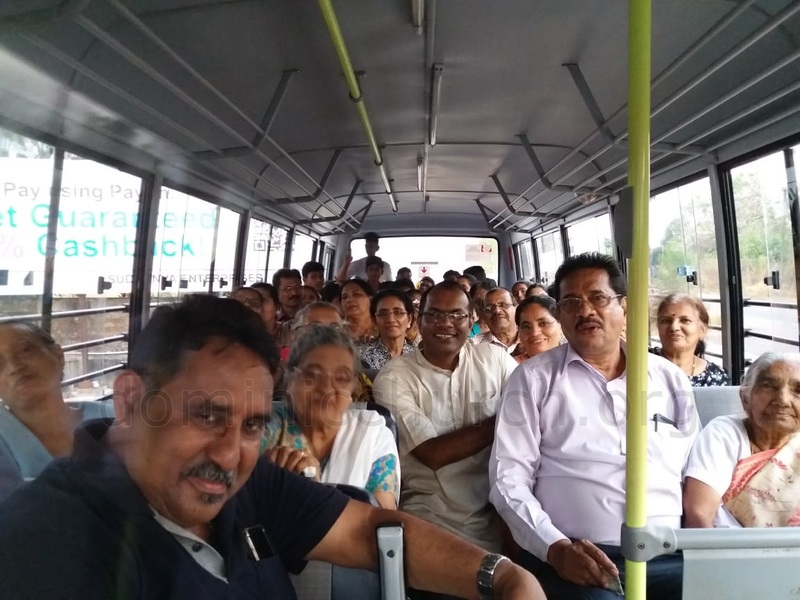 On our way back to Mangalore we were also privileged to visit our parish priests Fr. 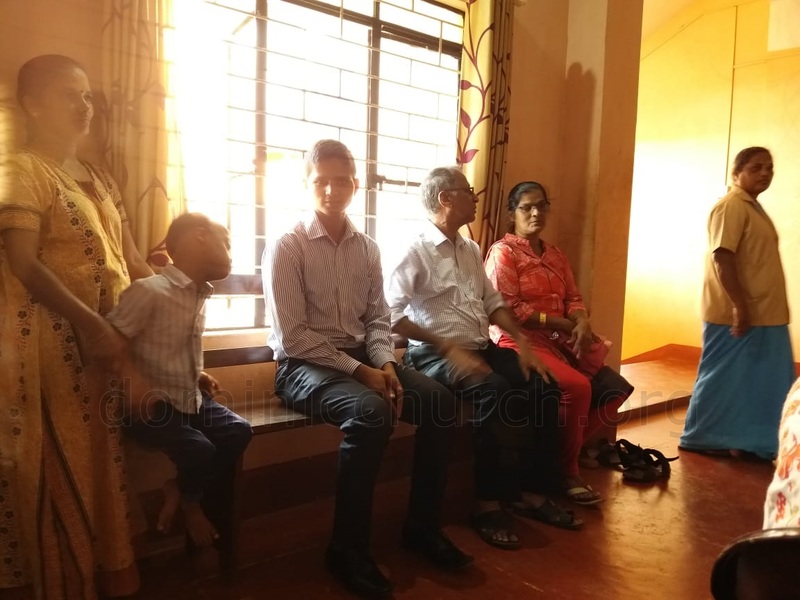 Aquin’s house where we met his mother and family members.